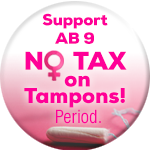 Join the movement to end the tax on tampons and take one more step toward gender equality! 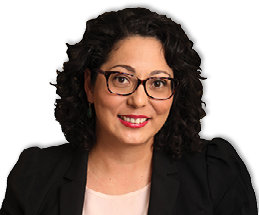 By signing this petition you’ll be supporting Assembly Bill 9, a bipartisan effort by Assemblymember Cristina Garcia (D-Bell Gardens) and Assemblymember Ling Ling Chang (R-Diamond Bar) to end the tax on feminine hygiene products in California. Sign up to help us pass this law in California! Help spread the word. Share your story.